As spring approaches and the weather warms up, people begin taking their cooking outside with BBQ grills. Grilling has long been a favorite summer activity, regardless of taste or preference. Meats, vegetables, and even fruits all achieve delightfully rich flavors when grilled. The type of BBQ grill you choose has a big impact on flavor, so it’s important to choose wisely! Whether you’re looking to replace your existing BBQ grill or this is your first grill purchase, there’s a lot to know before you make a choice. Here’s some helpful information regarding different types of BBQ grills, and the effects they have on the foods you cook on them. For most people, there are two basic types of BBQ grills to choose from: gas or charcoal. Gas grills can run off of smaller propane tanks which you can get at most hardware stores, such as a Brinkmann’s, or they can run off the natural gas line running to your home. According to the Hearth Patio and Barbecue Association, the vast majority of the 72% of households that have an outdoor grill use natural gas or propane to fuel them. Gas grills such as Gas Weber Grills, are convenient options for most people; they heat quickly and offer a variety of accessories such as side burners, auto ignition, thermometers and more. As for flavor, gas grills impart very little flavor into the food, when compared with the smoky flavor imparted by other options such as charcoal grills or wood pellet grills. Pellet grills have become more popular in recent years, as they are a hybrid between a smoker and a grill. Pellet grills utilize food-quality wood pellets as fuel and an electric thermostat to keep your food within the desired temperature range. This makes it perfect for longer cooking meats such as ribs, roasts, and briskets. If you’re a fan of old fashioned barbecue, a pellet grill may be the right choice for you. Another common type of grill is the charcoal grill. Charcoal grills are easy to use, impart a great classic smoky, rich flavor, and generally keeps a consistent temperature throughout the cooking process, so long as there is enough fuel. For people who rarely grill, or have limited space, a portable grill may work best for you. Portable grills are usually electric or charcoal grills. On the side of the spectrum, there are also, Kamado grills. These are outdoor ceramic grills that allow you to grill, bake and cook in! Whichever you choose, grilling can open up a number of new delicious and healthy food options, so before you head out, be sure to decide what kind of food you plan to cook, how much space you have, and what flavors you’re looking for. All of these decisions will help to make sure that you get the perfect grill for your summer grilling season. Spring is here and year after year you tell yourself you’re going to grow a garden. How about this year, for a change, you actually jump in and do it? Our Gardening for Beginners Read will give you all the tips needed to get started. The first step to planning your garden is choosing your location. Will you be planting right in the ground or will you be using a raised bed? Will you even be using your own yard? For some, a plot in the local cooperative extension is enough; but for others once they get a taste they start wanting to convert the front lawn to a farm. For your first year you may want to start small. Green thumbs can be learned, but maintaining a garden takes more time than you might think and you want it to be fun, rather than a job. If the final frost date hasn’t passed you can’t do much work outside, but you can gather your garden tools and watch the sun. Visit your local garden center to pick out the tools you will need. A good center, such as Brinkmann’s, will have a staff member to help guide you to the exact tools you’ll want depending on the kinds of plants you plan to grow. Some of the basic tools you’ll want are a hand trowel, a larger shovel, and a rake. Depending on soil conditions and plants you may need other tools. Garden center staff will know what’s best for your particular situation. Watch to see where your yard gets full sun. If you’re planning on doing vegetable gardening or even planting flowers you’ll want at least 6-8 hours of full sun to get a decent crop. Spend some time observing and watching how the sun travels across your yard and it will help you determine where to place your garden bed. Once the final frost has passed you can start preparing your garden soil. You’ll need to till it well and work in a layer of compost, grass clippings, or other organic matter. You can also use pre-packaged garden soil to help improve your planting medium. This will help to nourish the plants you put in the soil. Once the soil is prepared you’re on your way to starting a vegetable garden. If you’ve started from seeds wait until your seedlings are a couple of inches tall before putting them in the ground, though certain plants like lettuce and sunflowers can be planted right in the garden soil. Small plants you purchase from the garden center will be ready to plant right away. When your plants are young you’ll want to water them often. Young plants should never dry out, so water them daily unless it’s already been raining. The best time to water them is early in the morning so that the moisture doesn’t evaporate. Weeds can become an issue as they grow quickly and can appear seemingly overnight. To keep out the weeds and help let moisture in keep the soil around your plants covered in mulch. You can use grass clippings, pine needles, or bark chips. You’ll find many options at your garden center, or you can just use the clippings from when you mow your lawn. And that’s it! Feed your plants about halfway through the growing season because they’ll be hungry as they make their final push to produce vegetables and flowers. Starting in the summer you’ll be able to begin your harvest. As your plants grow take in vegetables as they appear, and soon you’ll have more tomatoes, peppers, and zucchini than you know what to do with! After a long, wet winter, spring has just about sprung! In only a couple of weeks you’ll be spending your days outside, and if you don’t take care of your grass now you may be wondering why your spring lawn is brown or has bare patches. While it’s still chilly and the lawn is still dormant, taking care of your equipment is a good idea. This will help get your Spring lawn ready earlier. Get your lawn mower a tune-up so you’re ready for that first cut. A healthy lawn needs regular trimming with a sharp blade, so make sure the grass blade is sharpened or replaced if needed and spark plugs and oil are checked. Remember that your mower may be slow to start on the first day, so place it in the sun for a while to warm up before you start. Before taking care of your soon to be Spring lawn you’ll want to do a quick clean up. Raking up dead grass, fallen branches, and any other debris will make it easier to prep your grass for spring. If what you rake up contains weeds you’ll want to bag it and put it by the curb; if not you can put it on a compost pile along with grass clippings and vegetable kitchen waste for later plantings. In northern climates, bare spots are often caused when crabgrass dies off in the winter cold. For cool season grass you can fix these bare patches with products like Scotts® EZ Seed® from hardware stores like Brinkmann’s Hardware. Wait until the new grass is at least 2” tall before mowing. To prevent more crabgrass from moving in you can use Scotts® Turf Builder® Halts Crabgrass Preventer with Lawn Food. In southern climates, where weeds are more of an issue, fertilize with Scotts® Turf Builder® Bonus® S Southern Weed & Feed, which kills dollarweed and clover, plus many other weeds commonly found in the south. This will have your Spring lawn filled with grass opposed to weeds. If you also have issues with fire ants apply Scotts® Turf Builder® Southern Triple Action instead. If you have none of these issues you can use Scotts® Turf Builder® Lawn Food to northern lawns just before or after your first mowing. In the south you can use Scotts® Turf Builder® Southern Lawn Food to help protect your lawn against heat and drought. It is a good Spring lawn care technique to have the blade high when you mow. Taller grass creates deeper roots and has a greater ability to crowd out weeds. The majority of turf types do best with a 3-4” blade height, which is usually the mowers highest setting. The general rule is to only remove ⅓ of the total grass blade length when you mow. When the warm weather really sets in you can get down to the business of Spring lawn care and really making your lawn perk up. Overseeding can help you to thicken your lawn, For cool-season grass types (such as Kentucky bluegrass, perennial ryegrass, fine fescue, or tall fescue) use Scotts® Turf Builder® Thick’R Lawn™, which combines grass seed, fertilizer, and a soil improver into an easy-to-use product you apply with a spreader. If you have a warm-season grass type (bermuda, zoysia, centipede, or bahia) use the appropriate Scotts® Turf Builder® Grass Seed product for your grass type and get your grass off to its best start by using Scotts® Turf Builder® Starter® Food for New Grass. Water newly seeded areas daily for at least the first 2 weeks. Have dandelion trouble? Kill those prolific seeders with Scotts® Turf Builder® Weed & Feed3. It’s guaranteed to kill dandelions and clover, and it’ll also help your lawn develop stronger roots. Did you forget to treat for crabgrass? Then Scotts® Turf Builder® Triple Action is a great choice. It’ll kill weeds like dandelion, and it’ll help prevent weeds like crabgrass from moving in on your turf. Snow blowers are a must-have if your home receives heavy snowfall. Saving time and avoiding shoveling, these machines are not all made the same, so deciding which type to purchase can be difficult. Each has its pros and cons. 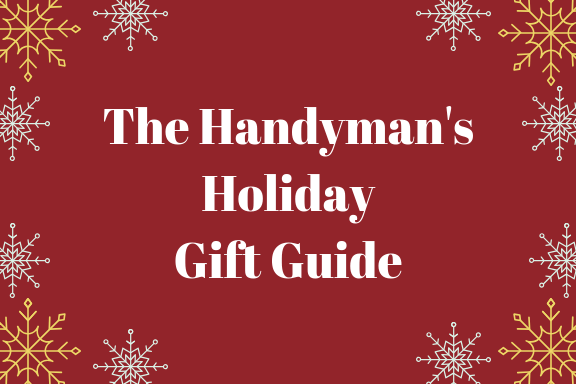 Looking for the perfect gifts for the handyman this holiday season? Here are some top handyman gift ideas to help you get started. At Brinkmann’s Hardware, we stock a wide range of products, so customers on Long Island can depend on us year-round. If you’re looking for handyman gift ideas, you needn’t look far, whether you are thinking ahead to winter or summer. Here we’ve compiled a list of great gifts to accommodate the handyman in your life. Anyone who’s suffered through a harsh New York winter knows that keeping your home warm can be a struggle. It’s not just your health that suffers, either: A house that loses heat or is warmed inefficiently can lead to soaring utility bills and costly appliance breakdowns. Don’t let that be you this winter. Want to know how to winterize a house yourself? Save energy and money, head down to your local plumbing supply store, and follow this DIY checklist! Sanitization is an important part of owning a pool. It keeps the water clean, safe, and clear; otherwise, you risk issues with water quality and the health of swimmers. 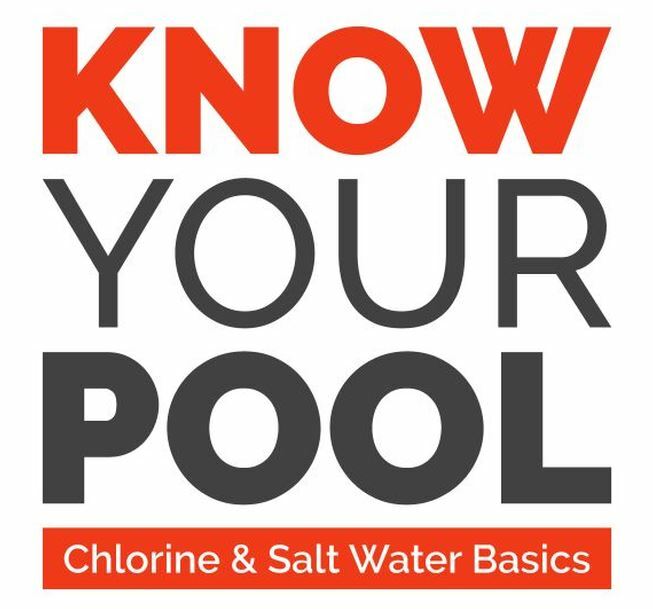 The primary means for water treatment in swimming pools includes chlorine and salt water. Adding chemicals directly to the pool has benefits. Chlorine effectively kills off harmful organisms and is generally affordable; the downside is that it needs to be added regularly and can be irritating to some people. A saltwater generator automatically converts salt to chlorine. Although initial costs are higher and the system uses electricity, it is so efficient that little manual pool cleaning is required. It’s also beneficial to those who are sensitive to chlorine.